Brick Town Talk: Some Statistics. - LEGO Town, Architecture, Building Tips, Inspiration Ideas, and more! Our little blog is still getting on average 150 hits a day. Would be lovely to hear from some of you. What are you up to? What's the weather like where you are? Any holiday plans? Tell us anything you like - its good to share. It's actually more like 180-200 hits a day. I have a week to go. Great job teaching lol. Then its loft here we come for six weeks... Yey. Hi there. My name is Allan and I am from Delta (Vancouver area) BC Canada. Weather is great here. I just got back from the Oregon Coast where I had an amazing time. I like this site, and I check it out often. I'm in Cambridge UK but holidaying in Lowestoft at the moment where the weather is changable. One minute hot, the next raining. I quite like it like that. No money for holidays really. Just having a short weekend away. Hi, I'm from Canterbury in the UK, and I often look in on the site to give me some ideas for Shelf City... Some day I might post them on Brickshelf. That's if my daughter ever lets me! Im in Sydney Australia, uni holidays now. this site is pure awsome. Thank you guys for all your comments... Makes me smile (keep going though). I'm in the UK in a town called Hitchin (quite close to Rima - about three stops on the train). I've got three more days at work before the long summer holidays - cannot wait. BTW - very hot in England for once. It's warm in Sydney too this week, even in the middle of winter. Probably something to do with the Papal visit we are currently enduring, er, I mean, enjoying. Love the site, I check in every few days and am thankful for all your brickshelf searching so that I don't have to! I am from Vancouver, b.c. and I think your blog is very good. I have been checking it almost every day since it started. It provides plenty of inspiration for my building. 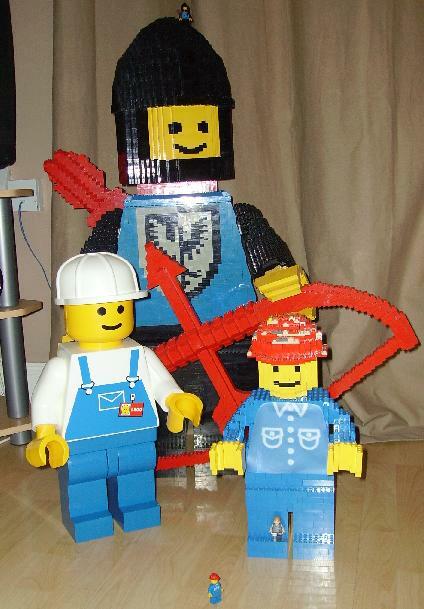 Please check out my Lego creations. Sorry for the belated comment, but I'm here too. 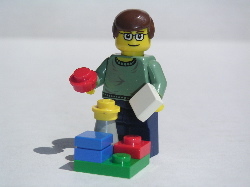 :-) I recently moved your feed into my "Favorite LEGO Blogs" folder (you gotta pick and choose when you're trying to pay attention to several hundred LEGO blogs! ), so I hope to keep up on goings-on here more often. Keep up the great work! After a nice summer break, I was finally able to catch up on all the updates to your blog. I can't say enough how cool it is. You've done a great job keeping up with it! I'm living in Denmark and the weather is finally taking a turn for the better. Woo-Hoo! Is that Jamie Berard - Dude Ive got a MAJOR question.I went to this town in france called caborg and i was wondering cos theres a building there just like CC ya know. theres a picture of it on brickshelf and on this blog! Havent posted in a while - my blogs gettin kinda boring. Richard, have you got a mln account cos id love 2 be ur freind on it. Anyways - See Ya! Just wandering by from Welwyn Garden City, UK (not far from Hitchen :-)). Used to be a daily regular but things have slowed down a bit since the Green Grocer hype-fest.